You’ve had your phone for a little over a year. It was awesome for the first 6 months or so, but then some of your friends got the iPhone 4 – which looks nicer and is much faster. Now, you’ve updated to iOS 5 and it’s getting really slow. The battery is terrible and you’re feeling ripped off. Here are some simple tricks to stave off Apple upgradaholicism. This is the biggest factor in slowing down the older models. It’s the thing that looks like a venetian blind when you drag your finger down from the top of the screen. 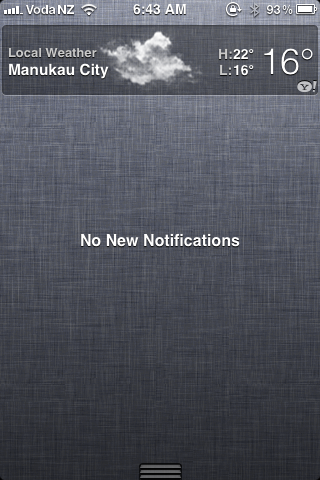 I remove all items from the notification centre. It’s a great feature, but it’s just too heavy for the 3GS. If you want to do this, go into settings and touch notifications. For the purpose of this blog I’ve enabled mail as you can see. If you’ve never been in here, you’ve probably got all the apps under the sun. Disable them. 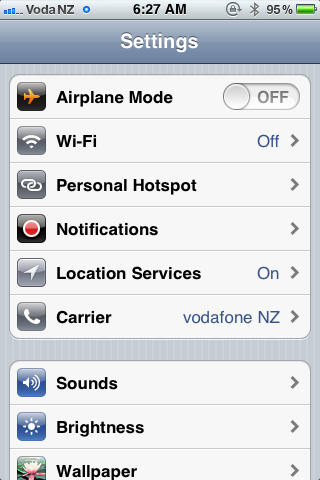 You’ll also see a load of other apps in there. If you hardly ever use them, set them so they don’t notify you. 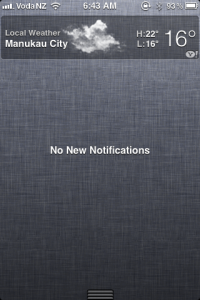 The change to iOS 5 was a real mess. The first version had battery bug. 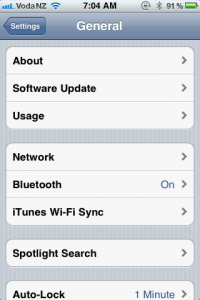 There is an update (iOS 5.0.1). It’s definitely better. The good news is that you don’t need to plug it into you computer anymore to update. Just touch settings/general/software update. double-touch the home button. The home screen will disappear and your most recent apps will appear down the bottom. 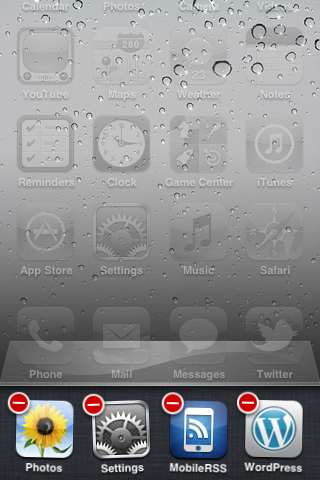 These apps are basically still running – using system resources and the battery. 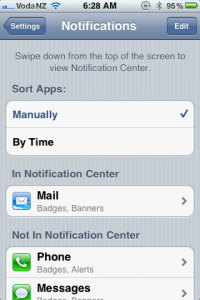 long-touch one of the apps and they will all start to ‘shimmer.’ Then you can delete them. With iOS 5, the worst culprit is the Music app. One of the biggest battery drains is the screen. Set it to auto and put the slider in the middle. 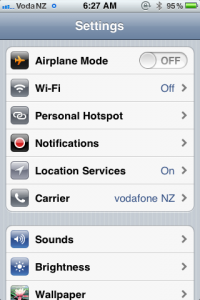 If you’re in a battery crisis and you only need the phone for texts, turn off 3G. It makes a massive difference. Please let me know if you found any of these tips useful and even better: if you have other tips.